Audiolab 8200CD review | What Hi-Fi? It’s no secret that we love the 8200CD. Since we first encountered the player in 2010, it’s won multiple awards and, until last year, was Product of the Year three times in a row. There’s no doubt that it’s one of the best CD players we’ve tested under £1000 thanks to its effortless sonic character and musicality. What also works in its favour, though, is that it is much more than just a CD player. Audiolab actually describes it as a ‘high-quality DAC + CD’ device – and it really is a blessing in disguise. Marry this formula with a plethora of digital inputs and outputs (coaxial, optical and USB) and you’ve got a player that will deal with pretty much everything you throw at it. And deal with it well. All inputs can cope with 24-bit/96kHz sources and, when we plugged the player into our computer, a CD rip of Lana Del Ray’s Born To Die sounded noticeably precise and articulate. A good buy, then, for someone who complements their CD collection with a vast computer library. We remember its primary purpose, though, and load up some CDs, hoping to be reminded of a similarly impressive quality. Thankfully, our memories didn’t deceive us. We jumped straight in with the Lord Of The Rings: The Return of the King soundtrack and the varied compositions sounded fluid, neat and organised with a duly calculated drama. Even in the most elaborate and chaotic sections, the 8200CD remained poised and never succumbed to sounding erratic or artificially atmospheric. Yet it does overlook strands of finer detail in the music that rivals, including the excellent Cyrus CDi, bring to light. We slipped into a more islanded affair with Captain Corelli’s Mandolin Original Motion Picture Soundtrack and were met with measured dynamics and a neutrally toned, pure sound. The player revealed the subtlety inherent in the quieter mandolin instrumentals and bared a deserved energy to the busier, more concentrated string orchestrations in After The Dance. It’s these traits that help make up its wonderfully sonic and exciting musicality. It doesn’t quite, however, have the audacity of the Naim CD5si – nor does it reveal as much lucidity – and its less get-up-and-go attitude was something we found ourselves conscious of during a listen of a more upbeat track, such as Wyclef Jean’s Perfect Gentleman. Still, what Audiolab has achieved, even excelled in, with this player is a way of making your music sound as it should: clean. And we can’t pick holes in that. There are a few things to think about if you decide to buy this player. Further to boasting unusually good compatibility for a CD player, thanks to its DAC capabilities and array of digital inputs and outputs, it also has a clearly readable scrolling display that can be turned off – something that should be done to further improve sound quality. Being able to set up the remote to control output volume also means you can connect the player directly to a power amp, eliminating the need for a pre-amp altogether – bingo if you want to save money and make room in your system. Additionally, seven digital filter options give you even more to explore, though it didn’t take us long to determine ‘Optimal Transient’ as our clear favourite because of its power and cohesiveness. But when set to ‘Sharp Rolloff’, Adele’s Daydreamer felt dislikeably flat-toned and one-dimensional. 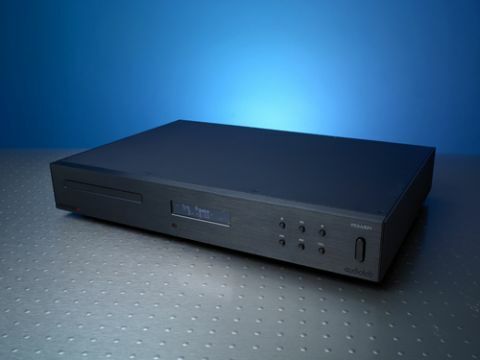 Before being knocked off the top spot by the Naim CD5si last summer, the 8200CD outshone all other players in – and in some cases, above – its price range for years. And it remains a superb player. For £800 we still think you won’t get anything better. But today there are more capable players, including the aforementioned Naim (£995) and Cyrus CDi (£975), that, if you can live with fewer features and stretch your budget a little further, you’ll enjoy more.